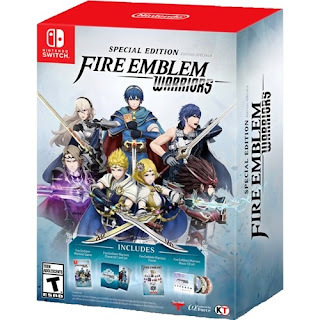 Today ONLY - *HOT* Fire Emblem Warriors Special Edition - Nintendo Switch $59.99 (Retail $79.99)! Choose your character in Fire Emblem Warriors Special Edition, and battle for good with dozens of weapons and special attacks. Unlock new characters as you level up through battle, and trade in gold for new upgrades. This Fire Emblem Warriors Special Edition comes with three game music CDs, character and a dual-sided poster with art from the game.